REM Triton Top Hat Filter – The REM TRITON™ TOP HAT (TH) Filter insert is an effective and economical stormwater BMP treatment solution designed to help property managers, commercial enterprises, industrial firms and public municipalities meet stormwater quality requirements and regulations. Easily installed and mounted on the catch basin wall below the grate in combination grate & curb inlet structures and drop inlet storm drains, the REM TRITON™ Top Hat filter insert utilizes a patented media cartridge system that effectively removes pollutants from stormwater. Media strategy may be custom configured for specific pollutant concerns. The REM TRITONÔ TOP HAT (TH) Filter is an effective and economical solution to help property owners, corporations and municipalities meet stormwater quality requirements and regulations. 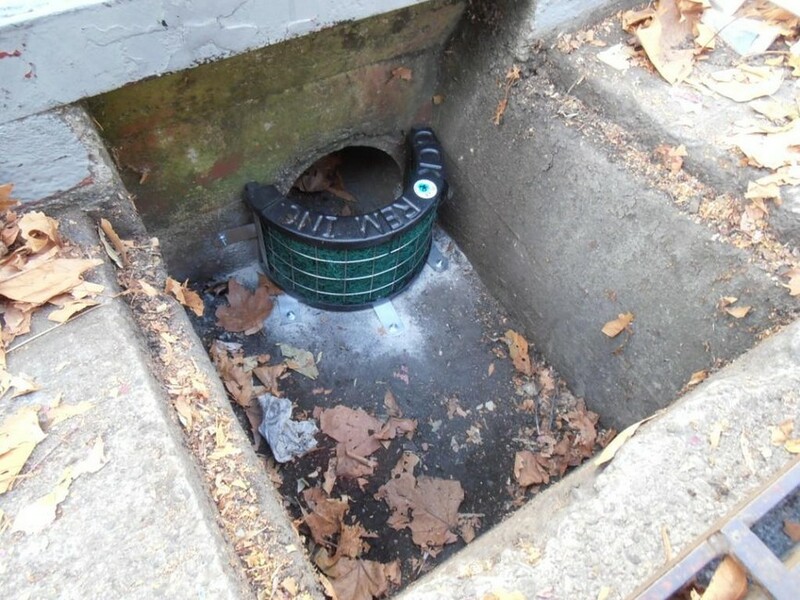 Easily installed and mounted on the catch basin wall below the grate in combination grate & curb inlet structures and drop inlet storm drains, the REM TRITON Top Hat filter utilizes a patented media cartridge system that effectively removes pollutants from stormwater. The REM TRITON stainless steel media cartridge cam-locks in place onto the filter base plate allowing quick and easy removal for maintenance. The cartridge houses replaceable filter media packs that treat stormwater for pollutants including liquefied petroleum hydrocarbons (Fats, Oils & Grease including animal fats) and Total Suspend Solids (TSS) such as trash, sediment, silt, vegetative debris.